Who would have thought that common nutmeg, regularly used as a culinary spice, could treat symptoms such as confusion and sleepiness as a homeopathic remedy – but it does. Common nutmeg is the nut of a tropical evergreen tree that grows to 15 metres in Indonesia, New Guinea, and the West Indies. 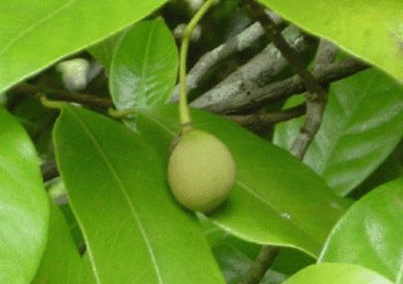 The tree and nut is known by many names: Myristica fragrans, mace, magic, muscdier, muskatbaum, myristica, noz moscada, nuez moscada, and nux moschata. Nutmeg is used in herbal medicine to relax the muscles, reduce indigestion and flatulence, and relieve nervous disorders. When the remedy matches the symptoms, Nux moschata has the ability to treat symptoms of allergy, Alzheimer’ disease, colic, confusion and forgetfulness, dryness of mouth and constipation, narcolepsy, Petit mal, fainting, and vertigo. While above self-limiting or acute complaints are suitable for home treatment, see your healthcare provider if symptoms worsen or fail to improve. Chronic symptoms or complaints require a course of professional treatment to manage the changes in potencies and remedies that will be required. Stupor and insensibility ; unconquerable sleepiness, and sleep. Unconsciousness, after mental excitement, especially just before menses ; thoughts vanish, with fainting. Gradual vanishing of thoughts, when reading, inclined to fall asleep. Gives answers wholly irrelevant to the question put to him. Uses wrong words, during headache. Surroundings seem changed ; fanciful, dreamy images ; does not recognize the known street. Short time seems very long to her. Delirium, violent vertigo, strange gestures, loud, improper talk, sleeplessness. Delirium tremens, slowness of senses, imaginary fancies ; awakens and knows not where he is ; laughter, with stupid expression. Laughter, everything seems ludicrous, talks loudly to herself. Changeable mood, now laughing, again crying. Weeping mood, gloomy ; fears to go to sleep. Slow action ; of senses ; of will. From overtaxing mind ; sleepy, gastric ailments, hysteria. Children and women mostly ; also for the aged. Stupor insensibility, unconquerable sleep; sleepy with most all complaints. Excessive dryness of the tongue, mouth, lips and throat; no thirst. And cold damp weather, getting wet, or washing; after eating (bloating); in room, dry weather. Changeable humor; one moment laughing, the next crying.